Evernote’s an amazing app, allowing you to manage every little thing in one place, on the cloud – we love it. We do admit that it does take a little getting used to, however once you’re disciplined and spend a little time using it, it becomes second nature. Of course, being the greedy sods we are, we wanted to get more from Evernote and here are ways to get more from it. One of the most welcome of all the features added to Evernote was the reminder option. The app allows you to set up your reminder in a number of ways and provides notification to text, email or smartphone. The reminders feature is now available on everything from IOS to Windows on the PC and is as you would expect easy to set up and a real life saver. How often do you look through Twitter, come across something and think you’d like to read it later. In most cases we never do and it gets lost on the to-do list of good intentions. However, by linking the app to Twitter you can simply tweet @myEN with the link and a note is made of it on your Evernote. Evernote Hello – An interesting idea. The extension is set up to organise your contacts by image, context of your meeting with them, or by the date. It’s quite an interesting alternative to the usual alphabetical contacts folder. Penultimate – Yes, it’s an app that allows you to scribble and draw and then save to your Evernote – your new notepad replacement. Skitch is the Evernote version of the teacher’s red pen. Add circles, little notes, arrows or whatever you like to images or screen shots. Evernote is probably one of the best laid out note apps when it comes to organisation. It allows desktop users to create what are known as Note Links. These allow you to link pages of notes via hyperlink. Currently, this is only available on desktops but is accessible on all devices. It’s very useful if you want to associate even the vaguest topics. In a world where a hacked account is always only a click away, security is extremely important – particularly for something such as Evernote. Fortunately, they don’t tend to take security lightly and there’s a two-step authentication process for people using the app – we’d suggest turning it on by choosing it in the settings area as it could save a lot of trouble. In addition, it’s also possible to encrypt pieces of text – this can be done on a desktop. Simply hold Cmnd + Shift + X on Mac. If you have a Windows machine then hold Control + Shift + X. You then simply create a password to encrypt the information. Evernote is a fantastic tool and is available on almost every device there is, making it a universal note taking success that we love. 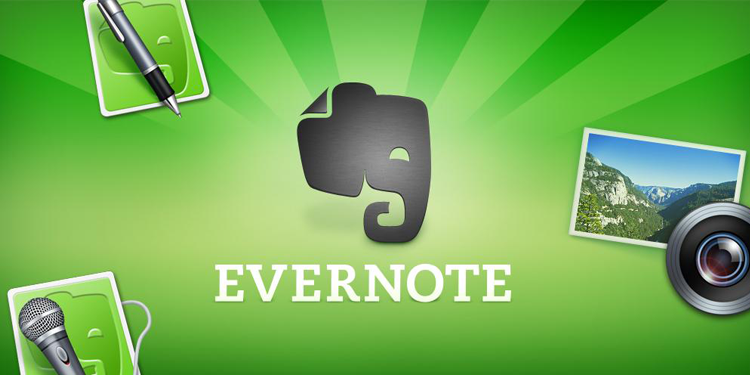 What are your favourite uses of Evernote? Let us know via the comments.